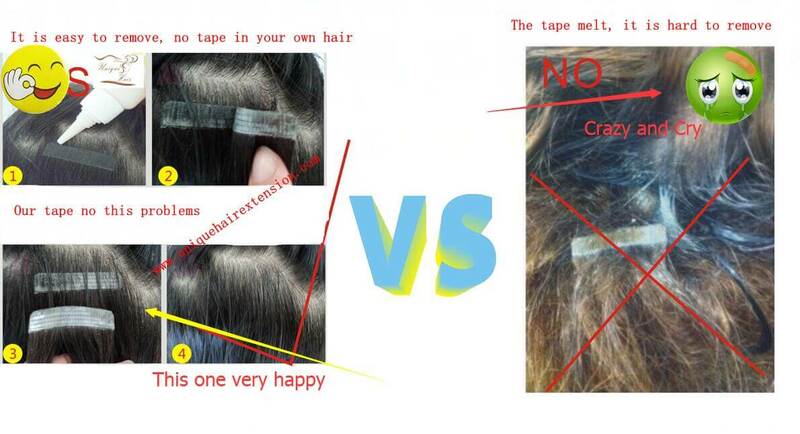 This article is to show you how to choose hair replacement tape for tape in extensions. 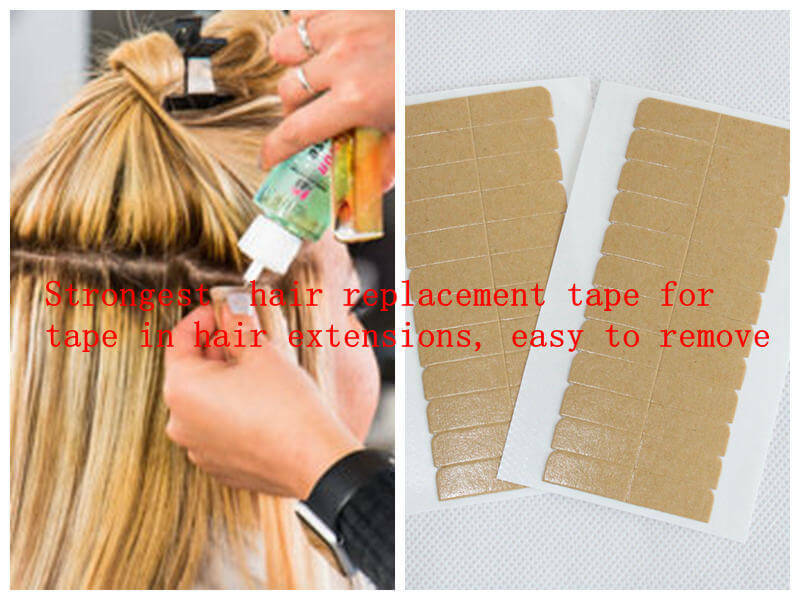 There are so many hair replacement tape in the market, most people can not know which is the best quality for them, I will show you some suggestions. need more time and remover to remove, you can see the picture below. but this tape can not melt, and easy to remove. the size usually uses 0.8X4cm/pcs, 12pcs/sheet, you can wear your tape in extensions with this tape, swim, take a bath, in hot weather, it is OK for you. these tapes also have roll tape, see the picture, so which one is suitable for you? confused to find the best hair replacement for tape in hair extensions. You also can email our factory sales@uniquehairextension.com for more information!